I am a big fan of the Crown Royal brand. When Crown Royal Apple came out it brought the whiskey game to a whole new level. Crown Royal, one of America’s best-selling and most-loved whiskies, has enlisted the talents, and all-around creative brilliance, of actor and comedian J.B. Smoove to continue momentum for its flavored whiskies – Crown Royal Regal Apple and Crown Royal Vanilla. As a leader within the nearly 10 million case flavored whisky category that grew 8% last year, Crown Royal looks to celebrate the fun-loving side and irresistibly delicious side of whisky with a new spirited campaign! The latest work between J.B. and Crown Royal premiered last week called “Crown Royal Regal Apple: The Musical,” which began airing in October, also known as National Apple Month. In a true collaboration, Crown Royal paired J.B. and his crew to create a pulsating original track, “It’s Apple Time, Baby,” along with corresponding dance moves. In the main film, J.B. struts through a lavish nightclub, as patrons jump into his dance number and join his crew for Crown Royal Regal Apple shots – all while not missing a beat. To commemorate J.B.’s starring role and new-found crooner skills, Crown Royal crowned him as its “King of Flavor” during an uproarious coronation in New York hosted by comedian Chris DiStefano. This is not the first foray for Crown Royal and the newly anointed King. Over the last year, J.B. brought out the true meaning of “Vanilla So Good,” to launch Crown Royal Vanilla. 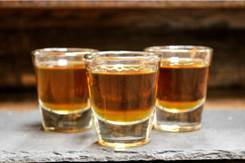 After watching JB’s new video check out the Crown Royal recipes below. Did you miss Ted Danson on Jimmy Kimmel last night? Well we got you covered. 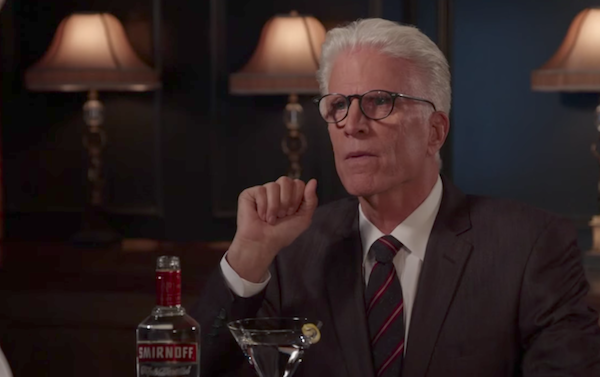 Jimmy Kimmel had a drink with the most famous TV bartender ever, actor Ted Danson, who is best known for his previous role as iconic bartender Sam Malone on the television show, Cheers. - Would you rather live in a haunted house or a gingerbread house? - If you had to sneak a parrot through airport security, how would you do it? - When you were a little kid, did your mother ever lick her fingers and smooth out your eyebrows? Ted currently stars on television sitcoms, The Good Life, and Curb Your Enthusiasm, which just returned to HBO earlier this month. Are you looking for a new rum to keep in your bar? Why not try Oak & Cane? Crafted using locally sourced ingredients and double-distilled in South Florida, Oak & Cane is a super-premium, American-made gold rum, aged in white American Oak and well rested with fresh Florida orange peels — the only rum to use this unique ingredient — resulting in a smooth, versatile spirit. Based in South Florida, Oak & Cane was founded by local partners Fred Greene, Cameron Grace and Joe Villatico, With a huge personal passion for spirits, the team set out to create locally distilled Oak & Cane — now proudly part of an exclusive selection of limited American-made rums. They double-distill to create a smooth finish, then let it rest with fresh Florida orange peels to bring out subtle notes of vanilla and caramel. The result is an excellent sipping rum enjoyed on the rocks. Oak & Cane is rooted in innovation, celebrating new-world distillation practices with a proprietary process. Instead of relying on the traditional aging process, which takes years, Oak & Cane double-distills its recipe to smooth out the finish, then rests its rum for 6-12 months with fresh Florida orange peels and medium-charred white American Oak. While it is crafted as a sipping rum, its versatility also opens a world of opportunity for uses in untraditional rum-based cocktails, like Oak & Cane’s signature Mimosa or Old Fashioned. The guys have taken their love for spirits and willingness to think outside the barrel to create an entirely new process — without the burden of time — which ultimately led them to open up the category and create one of the best tasting rums on the market. 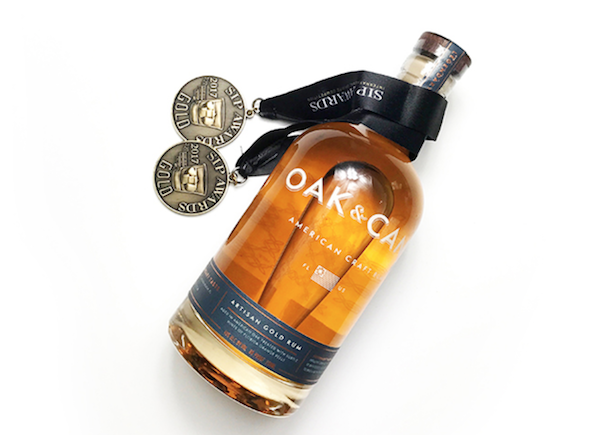 Already garnering impressive industry accolades, Oak & Cane was awarded a Bronze medal in the Rum category at 2016’s New York International Spirits Competition. The brand recently added another Bronze win in the Rum category at 2017’s Berlin International Spirits Competition. On the nose, Oak & Cane offers delicate aromas of citrus, revealed over aromatic wood. On the palate, hints of vanilla and caramel delight the taste buds. Its light viscosity and mild texture lead to a subtle and smooth finish. At 40% ABV, Oak & Cane is also well balanced, making it a great drink on the rocks or enjoyed in a variety of craft cocktails. Believe it or not this fall marks the 200th anniversary of when the first eight barrels of Guinness made its journey across the Atlantic, from Ireland to America. To toast to this momentous anniversary, Guinness is releasing a commemorative, limited-edition 200th Anniversary Export Stout. In 1817, Benjamin Guinness—Arthur’s son—brewed the first Guinness beer with a new roasted grain called Black Patent Malt. His stout recipe laid the foundation for how Guinness would brew for the next 200 years. 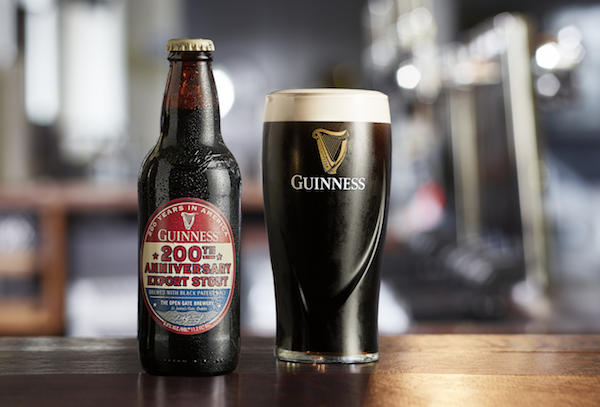 Inspired by a recipe originally developed by Benjamin Guinness and documented brewer diaries dating back to 1817, Guinness 200th Anniversary Export Stout is rich and full-bodied with notes of caramel, toffee and sweet chocolate. The 200th Anniversary Export Stout is available now in a 6-pack and comes in at 6% ABV for a SRP of $8.99. In addition, the beer will be included in the 200 Years of Stout in America 12-Pack along with Guinness Original, Antwerpen Stout and Foreign Extra Stout, for a limited-time. There are so many different spirits, liquors, and beers out there. How do you decide what to stock in your bar? Well it looks like Flaviar is your new best friend. Let’s take a look at a scenario. Let’s say that a really important date is coming over. Time to upgrade from that poor taste drink you have in your fridge to a well curated bar. Yet you don’t know where to start. What if new co-workers choose your rooftop for a celebratory old fashion after a client win – but you only know of Makers? Or if Mom and Dad are coming in town – time to prove you’re “all grown up” and only know of Dad’s scotch to stock the bar? Flaviar has got you covered. With one box you can elevate your liquor cabinet or at home bar with the most bespoke, best tasting, craft spirits and arm you with the backstory to impress the girl/guy, your co-workers and convince Mom and Dad you’ve got your sh*t together. 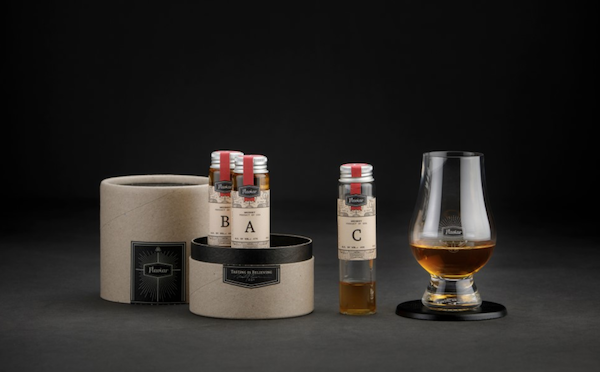 Through trial and discovery, Flaviar the premiere discovery online spirits club has got your back sourcing from a database of currently 22,206 products and bringing the best right to your door with quarterly tasting boxes to try it out and the full shipment to stock the bar. This month the internationally acclaimed service is now opening up their club to U.S. members for the first time. Did you see the trailer last night for Star Wars: The Last Jedi? Well if not here you go! 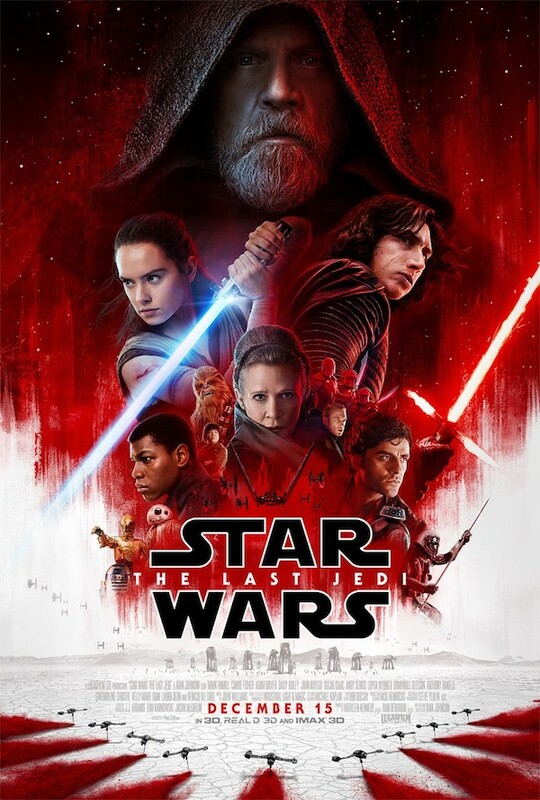 The Skywalker saga continues as the heroes of The Force Awakens join the galactic legends in an epic adventure that unlocks age-old mysteries of the Force and shocking revelations of the past. Star Wars: The Last Jedi opens in U.S. theaters on December 15, 2017.
Who is your favorite team to root for? Are you a NFL, NBA, NHL or MLB fan? Or are you a college sports fan? Well no matter the sport or league you can get some sick gear from a company called FanChest. 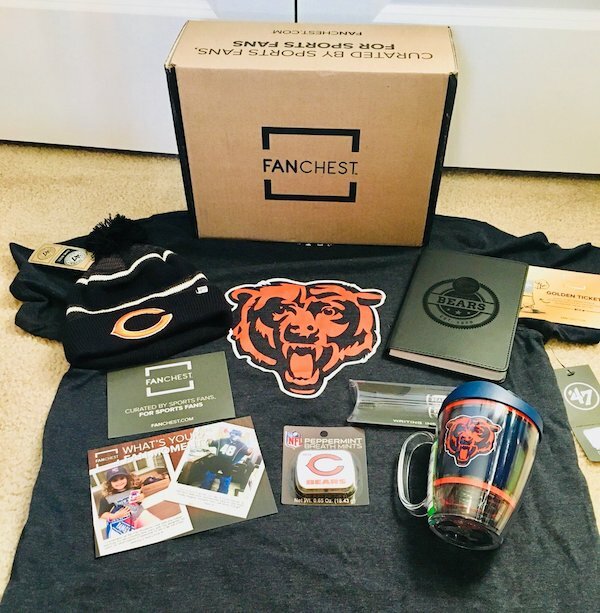 At Fanchest they love to support their favorite teams, but dread shopping for gifts for the sports fans in their lives. To them going to a big box sporting goods store is like traveling in on of Dante’s layer of hell. Fanchest feels that at those big stores there is no customer service, an insane amount of choices, and no excitement. Even checking out the big ecommerce sites is frustrating. They would rather get a root canal. So that is why they created a new subscription service. They wanted things to change. They feel that gifts should be thoughtful, fun to give and get, and capture the passion that all sports fans have. These are the gifts that you’ll cherish for years and brag about to your friends. 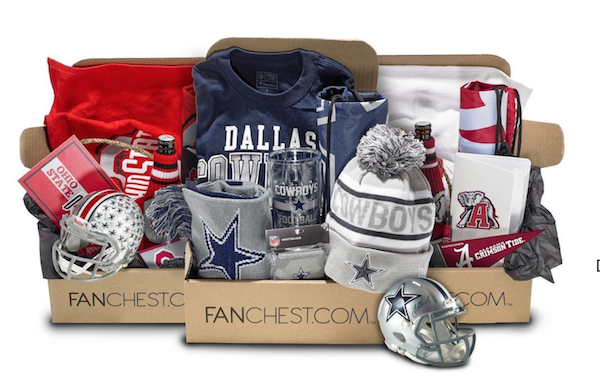 Their mission at Fanchest is simple, to deliver the best gifting experience for all sports fans. What do you get when you cross the WWE with NASCAR? You get power and speed. WWE star Big Show and veteran NASCAR driver Matt Kenseth have teamed up once again to show the power of Tide PODS in a new digital spot; it looks like the 7-foot-tall Big Show has finally met his match in Kenseth who received a little help from his Tide PODS pit crew. The Big Show’s size is no match for the unexpected power of teamwork! The windmill is a classic Hip Hop dance move in which the legs are lifted high in the air and twisted in a windmill pattern, while the torso and head rest against the floor. The world record for the most windmills – the most recognizable move in breaking – was completed simultaneously by the largest group of dancers aged between 15 and 50 years old. The world renowned breakers spun together in the eponymous backdrop of Kinderdijk, Netherlands a UNESCO World Heritage Site known for its iconic 18th-century windmills. The Hip Hop scene in the Netherlands has been growing dramatically over the past few years and as a not to this trend the annual Red Bull BC One World Final will be held in Amsterdam on November 4th. 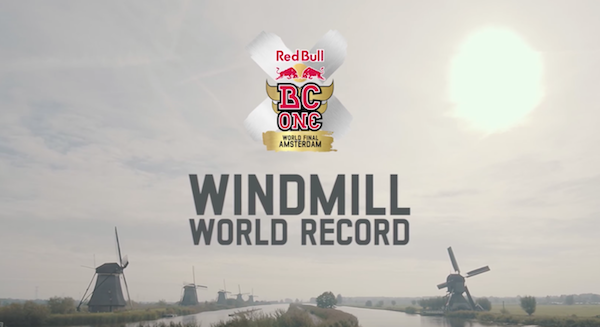 The world record was set at Kinderdijk, a village in the Netherlands’ South Holland province, known for its iconic 18th-century windmills and a monument to the history of humankind that was officially included as a UNESCO World Heritage Site in 1997. Over the past few years, the Hip Hop scene – and the culture that surrounds it – has grown dramatically, with rappers like Poke and Brainpower filling the country with old school beats and fuelling a society of talented breakers, battling in competitions around the Netherlands and around the World. Leading the breakers will be Italy’s Mauro Peruzzi – aka Cico, the ‘Prince of Power’. Known for his dynamic, gymnastic, power moves, Cico is one of the most impressive talents in the B-Boy Dance form today and this is not his first World Record. Especially heralded for his energetic airflare combination moves and incredible ‘1990s’, where he spins and speed in a one-armed handstand, holding the World Record with a mind-boggling 27 revolutions. The World Record Breaking event marks the growing breaking scene in the Netherlands, with Amsterdam hosting this year’s BC One World Finals. What are you dressing up as for Halloween? Better question what are you drinking at that party? If you don’t know we at MANjr are helping you out. 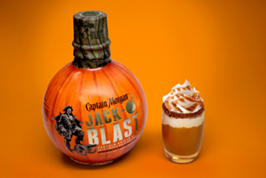 Captain Morgan Jack-O’Blast, the intensely delicious pumpkin spiced shot, is back on shelves nationwide. 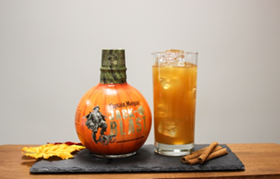 Jack-O’Blast is a fall-inspired shot that blends Caribbean rum with favorite seasonal flavors – including fresh pumpkin, cinnamon and other autumnal spices. 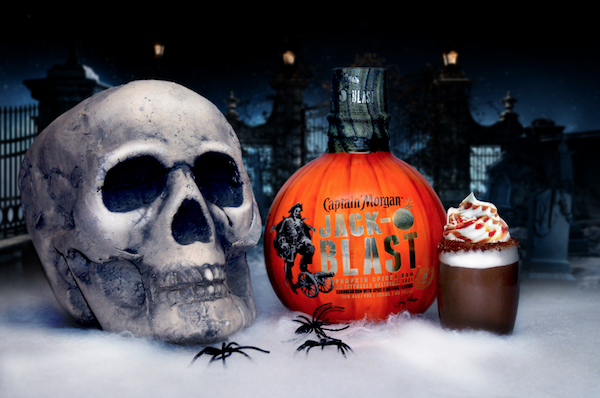 Best enjoyed as a chilled shot, Jack-O’Blast can also be served as a drop shot or in a number of seasonal drink recipes. The pumpkin spiced rum (60 proof, 30% ABV) has a suggested retail price of $15.99 for a 750 ml bottle and is currently available nationwide for a limited time this fall. Combine Jack-O’Blast, LocoNut and cold brew in a shaker with ice. Pour into 2.5 oz. shot glass, top with whipped cream and a caramel drizzle. Combine all ingredients in a glass filled with ice, stir and serve.